Whether you are planning an exciting bachelorette getaway or are simply looking to make a weekend getaway, California is a fantastic destination to pick. There are thousands of fabulous wineries, countless incredible restaurants, acres of sunny outdoor beauty waiting to be explored—the list goes on and on! Rather than go to a noisy city, staying in a beautiful sleepy town is the best way to take advantage of your ladies weekend getaway in California. Keep reading to find out why you should stay in Murphys, CA! 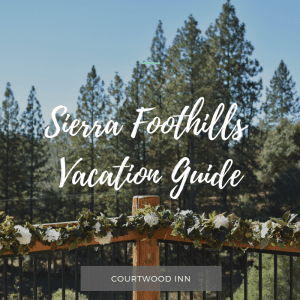 Courtwood Inn provides one of the most unique weekend getaways in Northern California! Where else will you find our tasteful blend of tennis and quiet luxury? After you hone your skills on our courts, relax in our beautiful lodge, whether in front of our crackling fireplace or with a glass of wine. Courtwood Inn is the perfect place for a tennis getaway because you will have access to our courts and excellent tennis packages while staying in elegance. Of course, any ladies weekend getaway in California is incomplete without a taste of its wines, and Murphys has wineries aplenty. You’ll have so many opportunities to try the famous wine when you are here! Whether you head directly to the beautiful wineries or arrange for wine tastings at the tasting rooms in downtown Murphys, be sure to try some of the varietals that make the region famous. This includes Italian, Portuguese, and Spanish varietals, as the Mediterranean-like climate here provides superb conditions for them. Below are some of the best vineyards and wineries near Murphys—but don’t just take our word for it. Go out and explore the boutique wineries! Head to downtown Murphys and discover everything there is to do there! Along Main Street, you’ll find charming boutiques, chic tasting rooms, spas, and fantastic restaurants, many of which are locally owned and operated. Additionally, just down the road, you’ll find a hidden gem: the Red Apple. Make a detour here to try some of the best pastries and apple cider that you’ve ever had! Murphys is nestled in the spectacular natural beauty of Northern California, and there are many ways to explore it. Are you feeling adventurous? Go spelunking in mysterious caves! There are also many places to go hiking. Head over to the Calaveras Big Trees State Park and crane your neck as you look up at the magnificent giant sequoias, towering high over you. Natural Bridges is a preserve where you can meander along the trails as you take in the fresh mountain air and beautiful views. Our beautiful inn is the perfect place to stay for your ladies weekend getaway. When you see our gorgeous rooms and the spectacular views that surround our lodge, you may not want to leave! Each guest room features a soft king or queen-sized bed fitted with luxurious linens, a private bathroom, and balconies that give you a front row seat to breathtaking panoramas. Enjoy a complimentary gourmet breakfast each morning during your stay at Courtwood Inn. Our multi-course breakfast includes seasonal fruit, a sweet or savory entree, homemade muffins or scones, and fresh, locally-roasted coffee. Plus, we make it with only the freshest locally sourced or organic ingredients available. In the afternoons, there is a happy hour where local wines are served, along with artisanal cheeses, crackers, and fresh fruit. 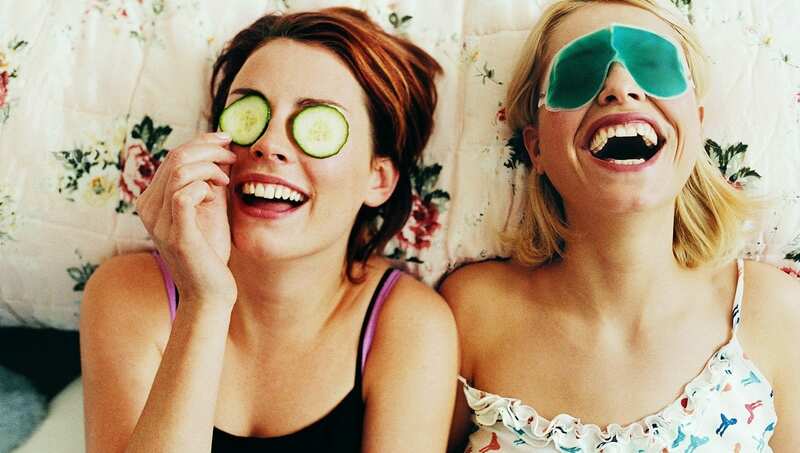 Be sure to take a look at all of our guest rooms before you book your ladies weekend getaway!